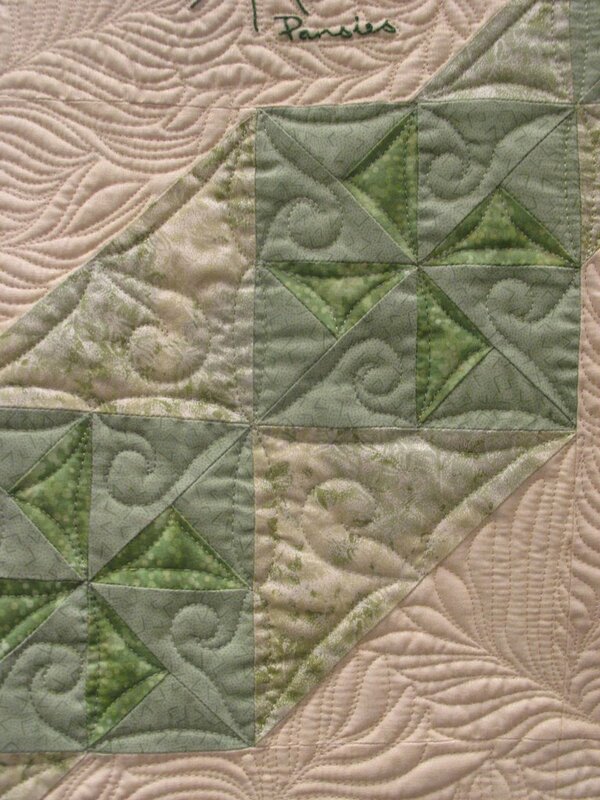 I am looking forward to the New Braunfels Area Quilt Show in July. 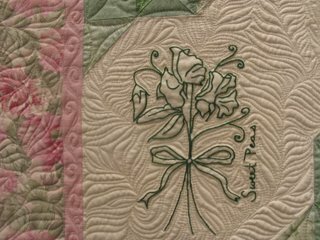 The theme of the show is Stitching in the Garden. The guild has assembled a beautiful quilt to be raffled off at the show. 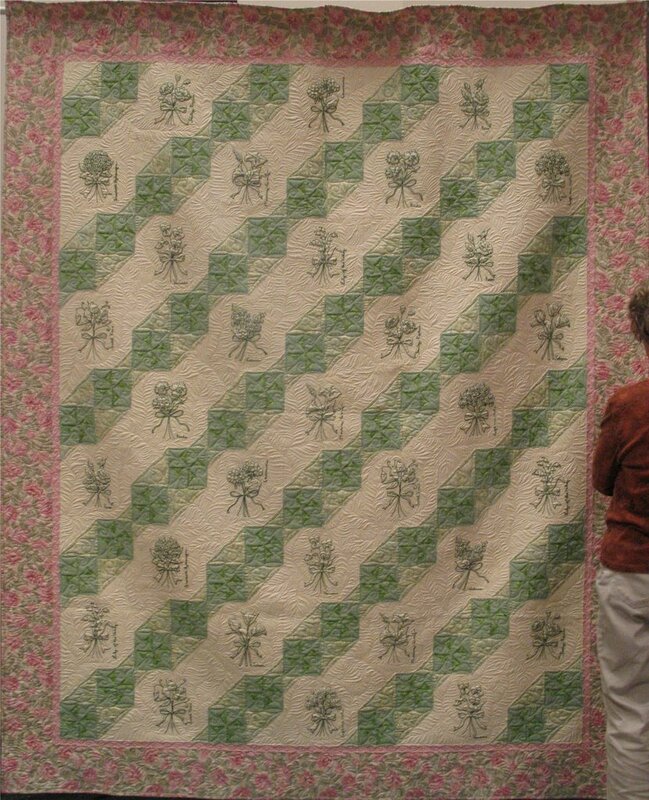 The quilt, titled Romance in the Garden, is 84″ x 108″. 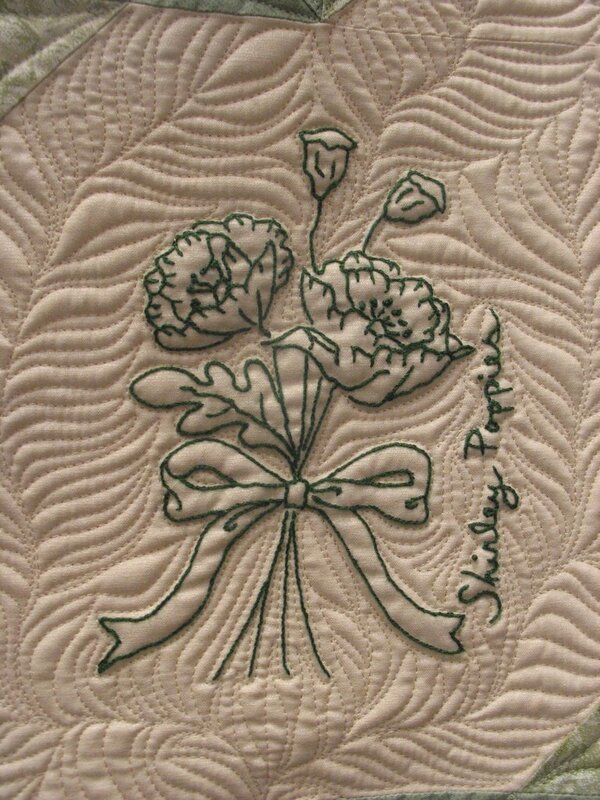 The flower blocks are hand embroidered and have the name of each flower. The whole thing is then pieced together in soft greens and pinks and was machine quilted by Terrie Alexander. Click on the photos for a closer look. Raffle tickets are $1.00 each. Let me know if you would be interested in purchasing one… or a hundred! 🙂 And…enjoy your walk in the garden. 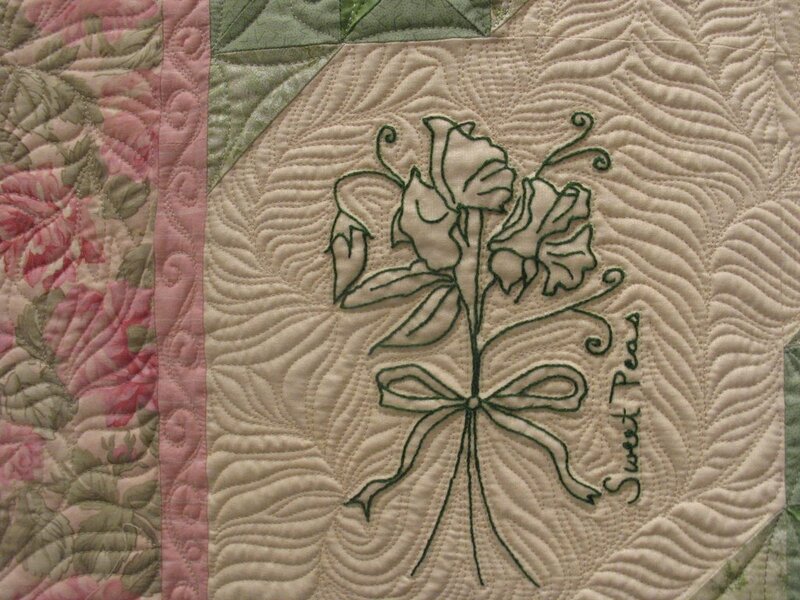 That is such a beautiful quilt and the quilting is exquisite. 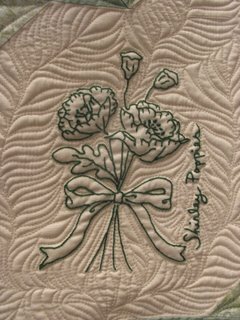 I hope you can show us some closeups of your longarm quilting on the child quilt that you’re working on.